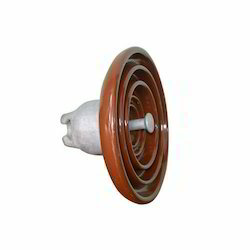 A renowned manufacturer and supplier, we are engaged in offering quality assured of Disc Insulator. 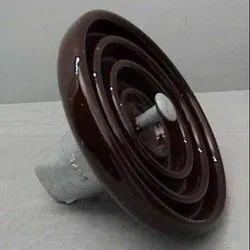 We are engaged in trading and supplying a wide assortment of high quality electrical Disc Insulators. These are extensively used in electrical applications. Our product is available in standard sizes. The main function of the Disc Insulator is maintaining the fluctuation of voltage. Our clients can avail these from us at affordable prices. Disc Insulators of various types like B&S, TC , Dead End with different KN ranging from 45-160KN used in distribution and transmission lines. Disc insulators (Suspension porcelain Insulator) are the most widely used for transmission and distribution lines. Their design varies to suit different types of polluted zones and mechanical strength as per customer’s requirement. In order to keep pace with the never ending demands of customers, we are involved into offering wide range of Toughened Glass Disc Insulator. Manufacturing high quality refractory & porcelain ceramic insulators. Made with premium quality raw material. With our in-depth knowledge of this domain, we are actively engaged in offering an excellent quality assortment of Composite Disc Insulator.